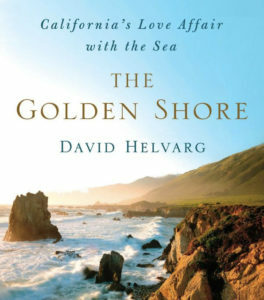 Written as a celebration of the California coast and the forces that protect it, “The Golden Shore, California’s Love Affair with the Sea” is a passionate tale of one of the most unique and stunning natural habitats to be found anywhere on earth, the 1,100 miles of the California Coast. San Francisco Bay area author and ocean activist David Helvarg is uniquely qualified to take us on this journey of love and the struggle to protect the rugged wilderness that defines the western border of the continental United States. Have you ever heard the saying, “so goes California so goes the Nation?” Ocean advocates across the nation are hoping these words ring true when it comes to protecting important ocean resources. The State of California now officially owns a complete network of Marine Protected Areas (MPAs.) These MPAs encompass rich, coastal ecosystems from Oregon to Mexico—creating sanctuaries for marine life to thrive. The final set of MPAs went into effect in the north coast on December 19, 2012—completing a nearly 10-year process to establish MPAs along California’s populated coastline. California is the first state in the nation to have established such a comprehensive system. 16% of our coastal waters are now protected in some fashion. Check out Helvarg’s video – it’s quirky, fun, and head-over-heels in love with the ocean, about what makes the California coast unique, and how it represents a model to the rest of the world for coastal and ocean policy. “And there are ways that the Pacific Ocean is naturally resilient – you have these unique patterns, the California current for example, that’s been called the ‘Serengeti of the Sea,’ that brings wildlife from northern climes down to California coastal regions. There is a great upwelling zone that creates a bouillabaisse of life that feeds everything from sea lions to white sharks to blue whales. “The first offshore drilling rigs began to operate in the 1890’s near Summerland in southern California. The pollution at the turn of the 20th century moved Santa Barbara voters, just to the North to vote, “No more oil.” It took another 60 years to convince them that engineers had developed safe methods for offshore drilling. And on the third drilling of the Union 76 platform, there was a massive blowout. The shock of the 1969 spill led Californians to call for the protection of the coastline, which eventually led to the creation of the milestone California Coastal Commission. We made a choice not to turn our coast into an urban seawall. US-1 is still one of the most scenic routes on the planet. “Choosing not to go the way of Waikiki or Miami Beach turned out to be a good economic choice as well. The major players like the Navy and the Ports and the real estate interests realize that they have to work within the context of sustainable coasts and clean waters because that is what the people of California want. “Worldwide, about 50% of the people live within 100 miles of the coast. In CA 90% of us live within 20 miles of the coast. This is where we live, this is where we play and where we earn our living. We have come to understand that we can only do that when we recognize that we are part of the natural world, and that the Pacific is our liquid blue frontier. 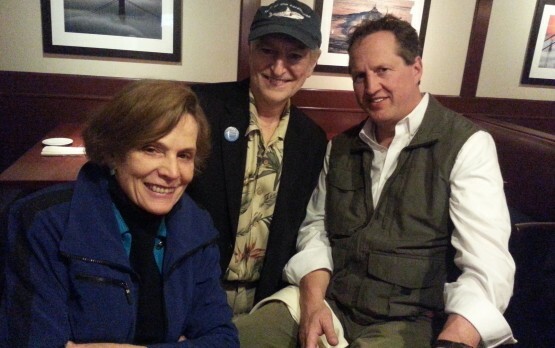 David Helvarg is founder and Executive Director of the Blue Frontier Campaign, a Washington DC based organization working for ocean and coastal conservation. He is currently organizing The Blue Vision Summit 4 and the 6th Annual Peter Benchley Awards.